Toward the end of his life, bluesman Rachell was playing a Flatiron F-style mandolin (tuned E B F# C#) procured for him by ex–Lovin' Spoonful guitarist John Sebastian. Yank used the Flatiron on two CDs with Sebastian and also on his final recording, Too Hot for the Devil. 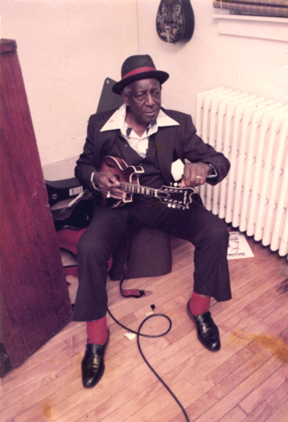 However, Yank's favorite instrument was this Harmony acoustic/electric, which he played on recordings such as Blues Mandolin Man and Chicago Style. The Harmony now belongs to Indianapolis blues player Mike Butler. 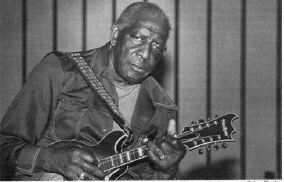 Here's a video clip of Yank performing with Sleepy John Estes. And in a first for electric mandolin players, there's a biography of Yank available from University Press of Mississippi.